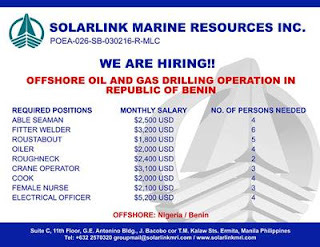 SEAMAN JOB INFO - Solarlink Marine Resources Inc. Opening hiring jobs for Filipino offshore vessel crew trade operation Nigerian / Benin area joining A.S.A.P. 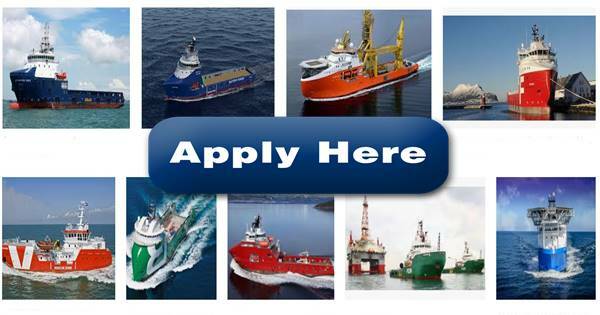 0 Response to "Able Seaman, Oiler, Cook, Fitter, Electrician, Crane Operator For Offshore Vessels"